How to Winterize Windows with Plastic — Learning how to winterize windows with plastic can greatly reduce the amount of money wasted on keeping a home warm. Winterizing windows with plastic prevents cold air from getting in and warm out from getting out. There are many plastic winterizing kits that promise to show you how to winterize windows with plastic. These kits contain very thin plastic and weak tape. Doing it yourself without a kit is cheaper and more effective in the long run. Winter is a harsh time of year. The weather is cold, the wind is harder and there is a lot of snow if you live in the north. This can end up driving a person’s heating expenses to all time highs. To help prevent these costs, there are a lot of different winterizing projects that can help to decrease the amount of heat lost and prevent cold weather from gaining entrance into the house. The biggest of these winterizing projects is covering the windows with plastic. This can be tricky, so knowing how to winterize windows with plastic is essential to completing the project quickly, easily and with minimal stress. While it is a good idea to winterize all of the windows in a home, there are some windows that need it more than other windows. These windows are typically on the north and western sides of the home; however, there is a good way to determine which windows need it. First, on a bright day, turn the lights off inside the house. Walk around the windows and look for signs of light coming from where the wall meets the window frame. These areas will need to be patched and then covered. On a windy day, watch the curtains on the windows. If the curtains are moving, these windows need to be covered with plastic because wind is pushing through the joints where the frame holds the glass. There are several kits that promise to help winterize windows. These kits provide detailed instructions on how to winterize windows. They often include double sided tape and pre-cut plastics. This plastic tends to be very thin and the tape is weaker than other double sided tapes. These kits are suitable if a person lives in the middle section of the country, where it does not get incredibly cold and the wind does not blow quite as strong. For those who live in the north, pick up a couple rolls of thick and strong double sided tape and a roll of painter’s plastic. The double sided tape will hold the plastic up and secure. The painter’s plastic is thicker than the other plastics, a clouded clear so people can see outside and it is very durable. Take a piece of the double sided tape and test it against the wood for the window. This will show if the tape is going to damage the paint or not. If so, applying a clear coat of paint is advised to decrease the chance of needing to repaint the windows in the spring. Once this has been completed, measure the windows along their outside edges. 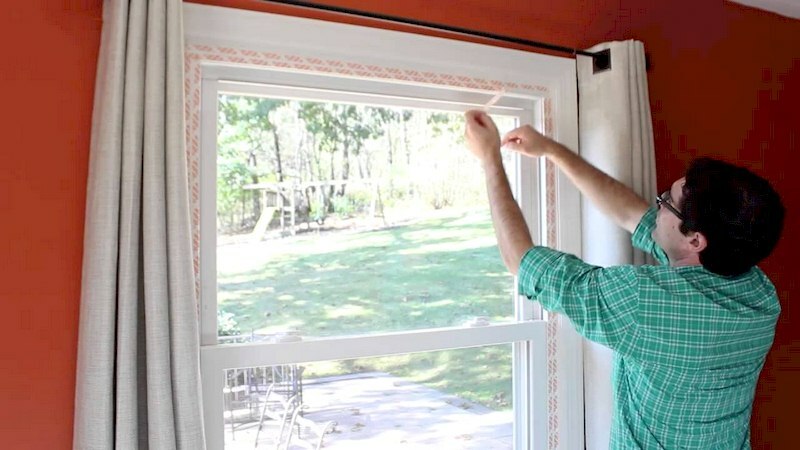 Once the windows have been measured, apply a single line of double sided tape to the windows. Do not peel off the back side of the tape yet. Once the tape has encircled the window, cut the painter’s plastic to the same size as the windows. Peel back off of the tape on the top section of the window. Starting in the middle of the window, press the plastic against the double sided tape, taking care to get the plastic centered on the window. Continue this process until the entire window is covered with plastic. Mark the window that the plastic goes over. Since this plastic is thicker than most plastic used to winterize windows, it can be used more than once. Carefully pull the plastic from the double sided tape. If it does not come easily, use a spray bottle to wet the tape and loosen the adhesive. Carefully fold the plastic and store it until next winter so it can be reused rather than having to purchase more and then go through the measuring and cutting process again. To remove the tape from the window, carefully pull it away from the frame. If it appears to be sticking to the paint, apply water to loosen the adhesive. If this does not work, use mineral water and allow it to sit for a moment as it loosens the adhesive. 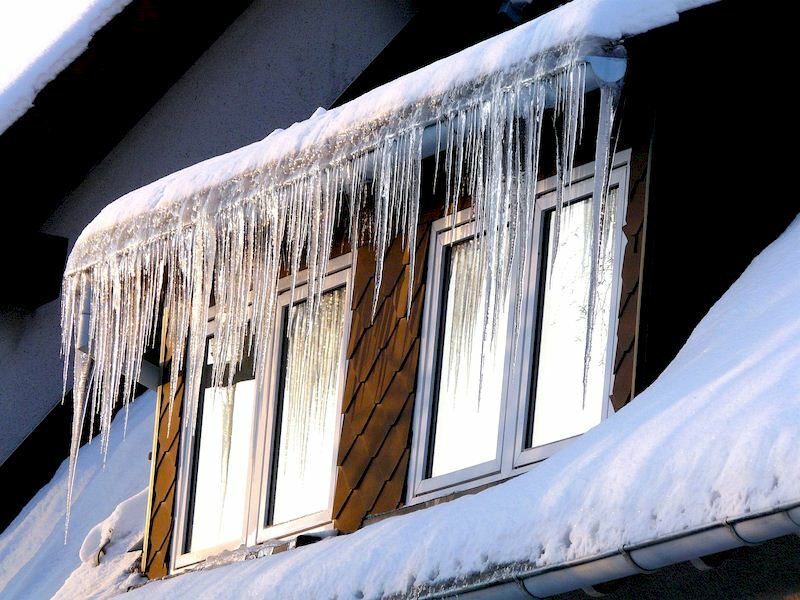 Now that you know how to winterize windows with plastic, your house will be able to stay warm and cozy all winter long!